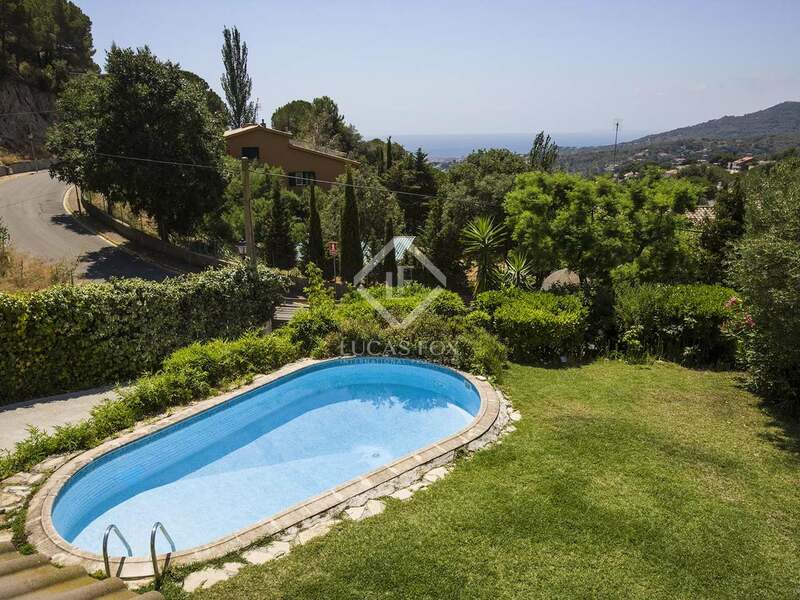 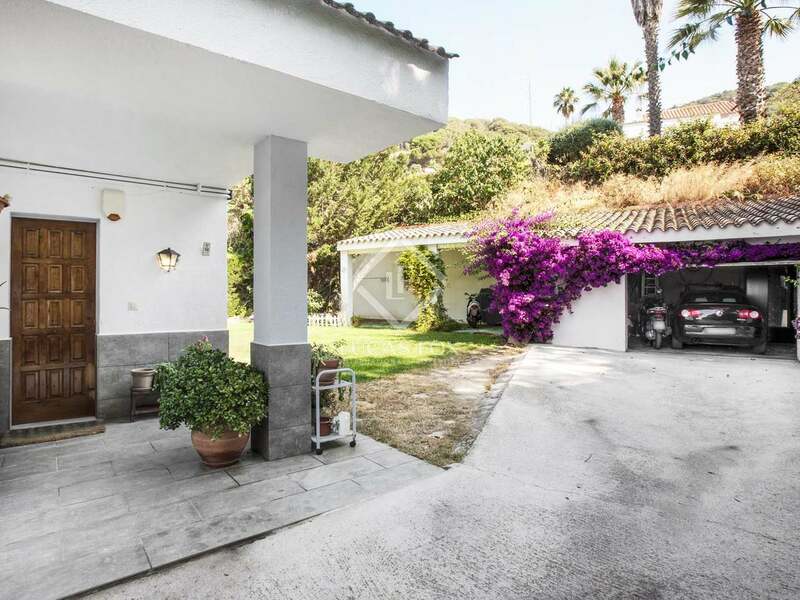 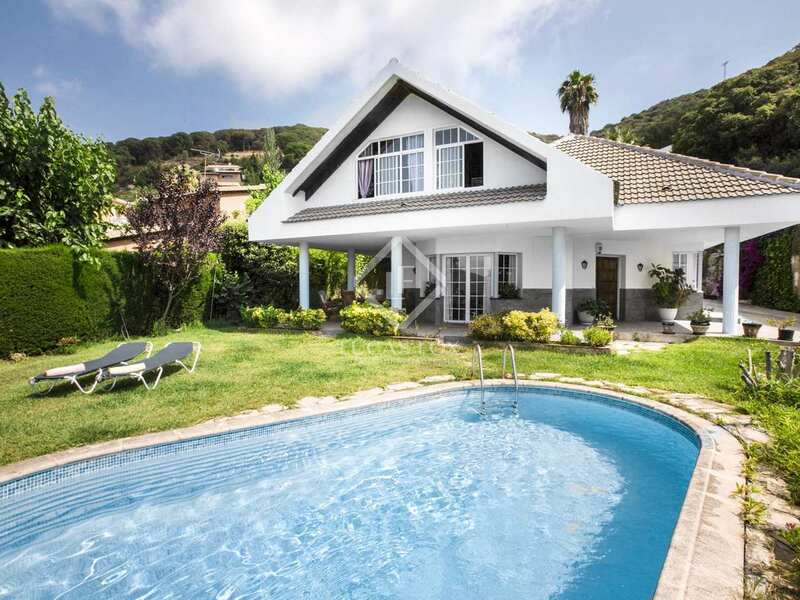 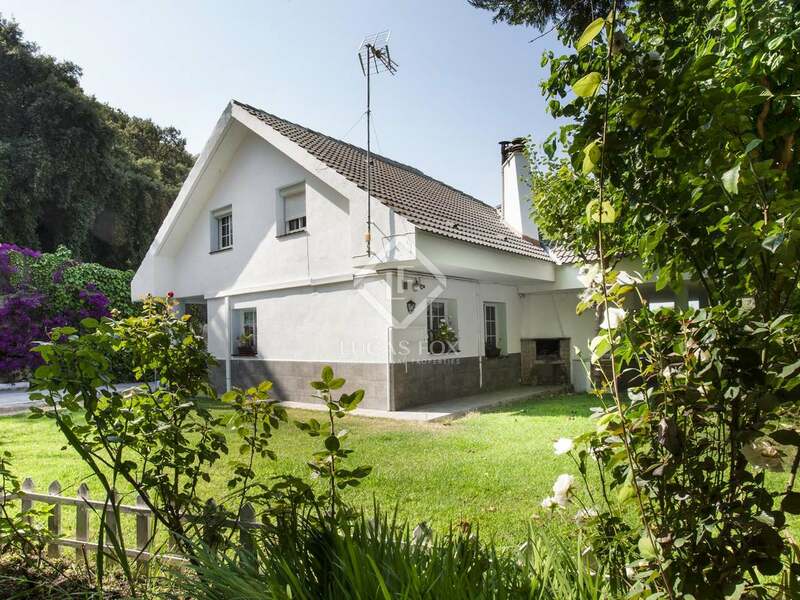 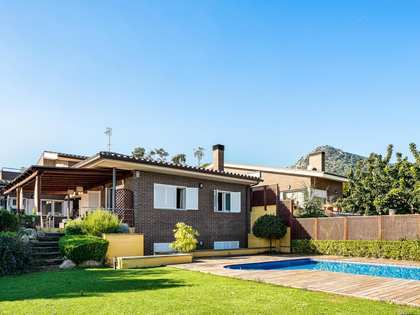 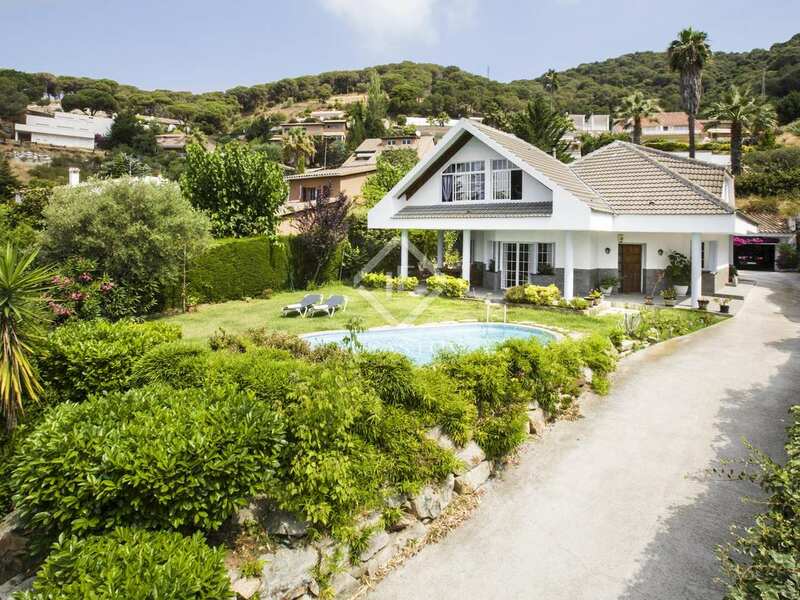 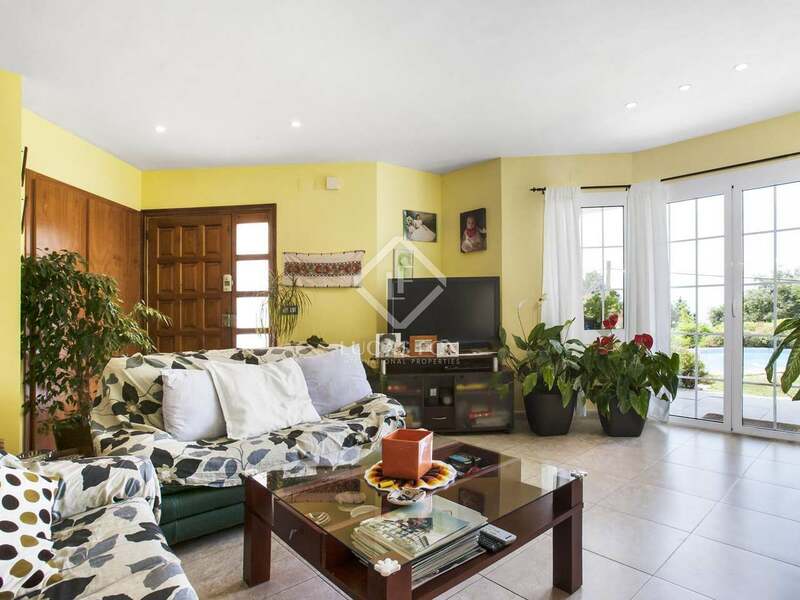 Located on a peaceful street in the affluent La Llobera residential area of Cabrils, we find this detached chalet-style property with a traditional tiled roof. 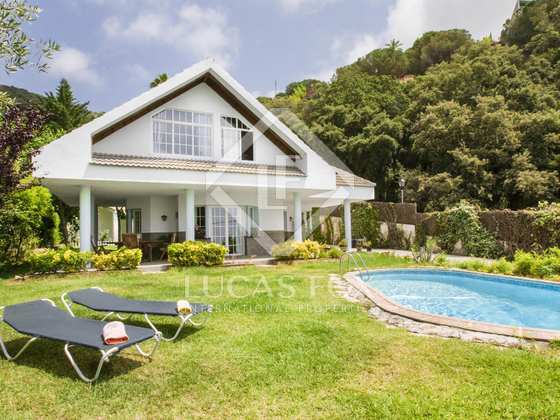 The villa is south west facing, with natural light all throughout the day and lovely sea views from the first floor. 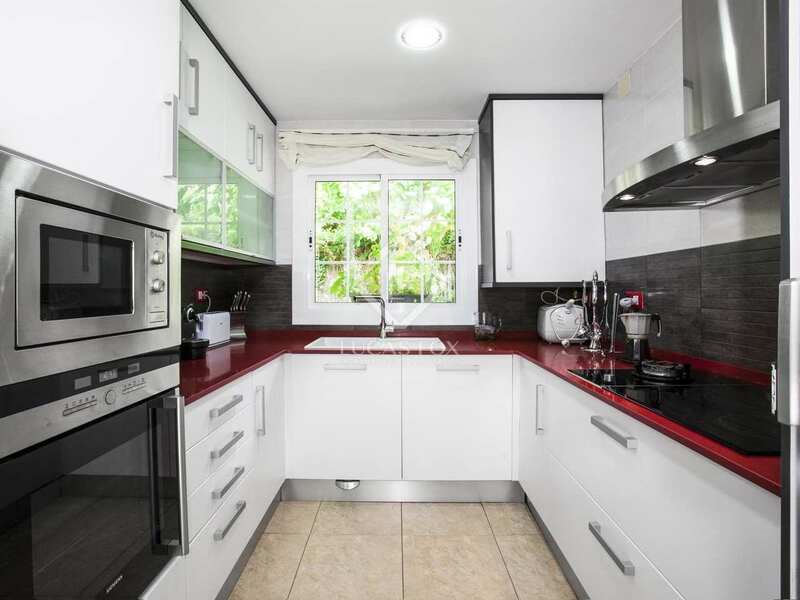 Built in 1983, the property was partially renovated in 2011, including the kitchen and 2 bathrooms. 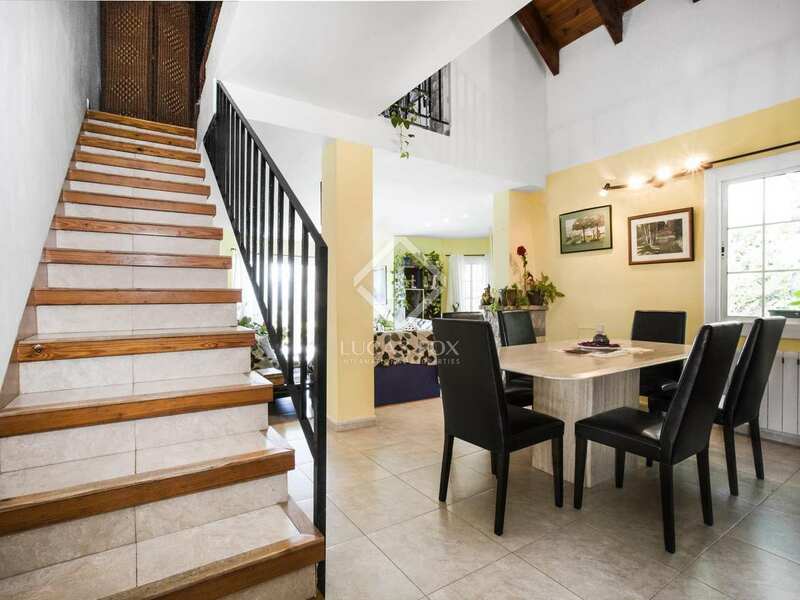 On entering we find a split-level living room – dining room with a cosy log fireplace, a kitchen, bathroom and single bedroom. 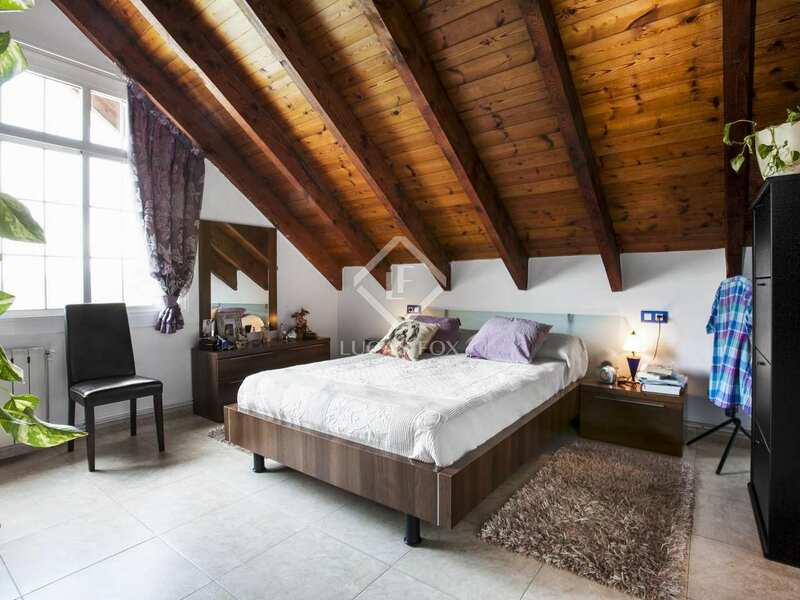 2 further bedrooms, an office area and a shared bathroom are found upstairs, along with the master bedroom with its en-suite bathroom. Outside we find a large, level lawn with an inviting swimming pool. 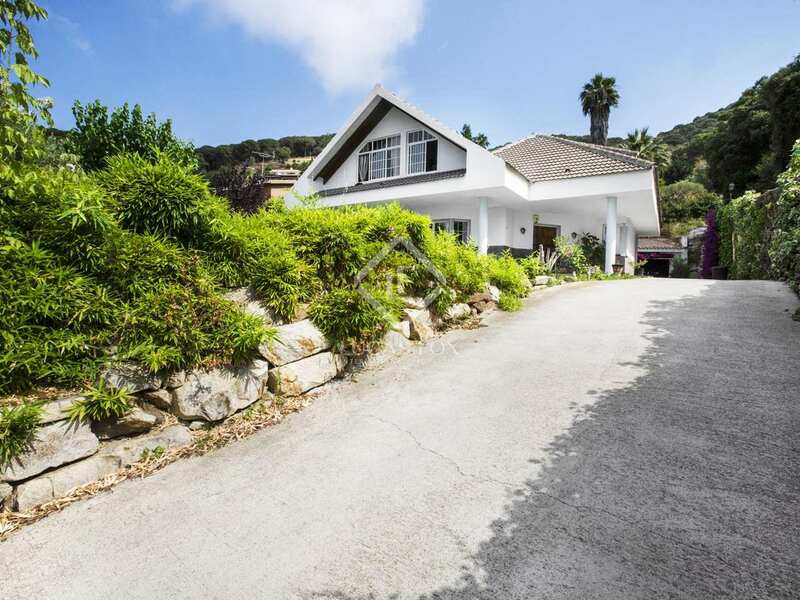 Garage parking for 2 cars, a private driveway and a comfortable covered outdoor dining area. 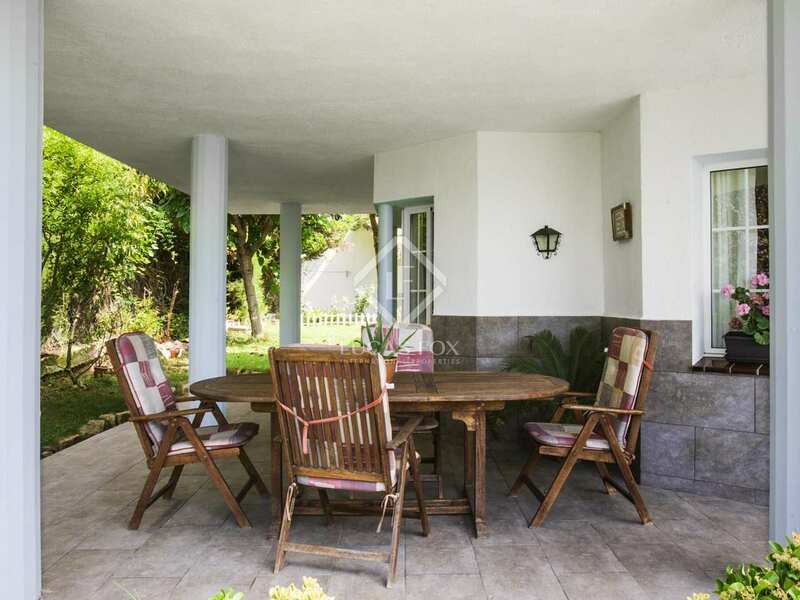 One of the highlights of this property is the peace and privacy it offers both inside and outside. 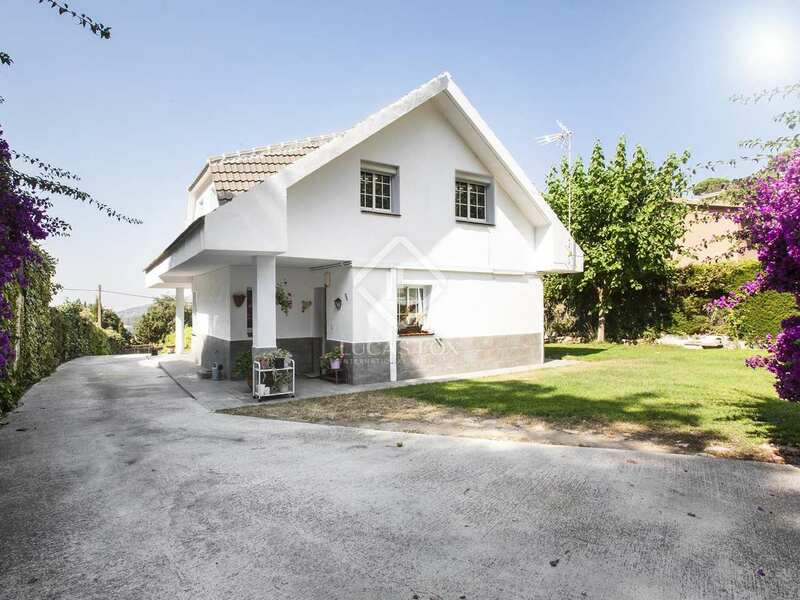 This property would make an appealing family residence or a lovely holiday home near the sea. 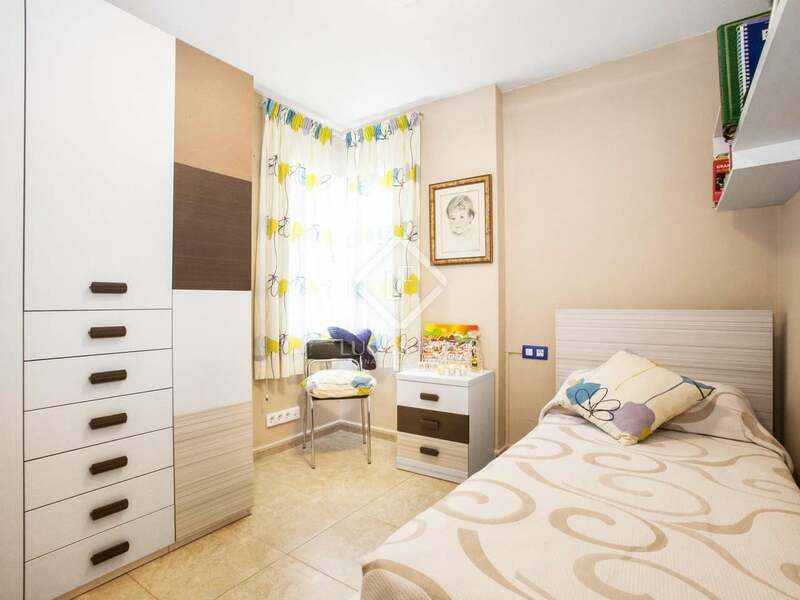 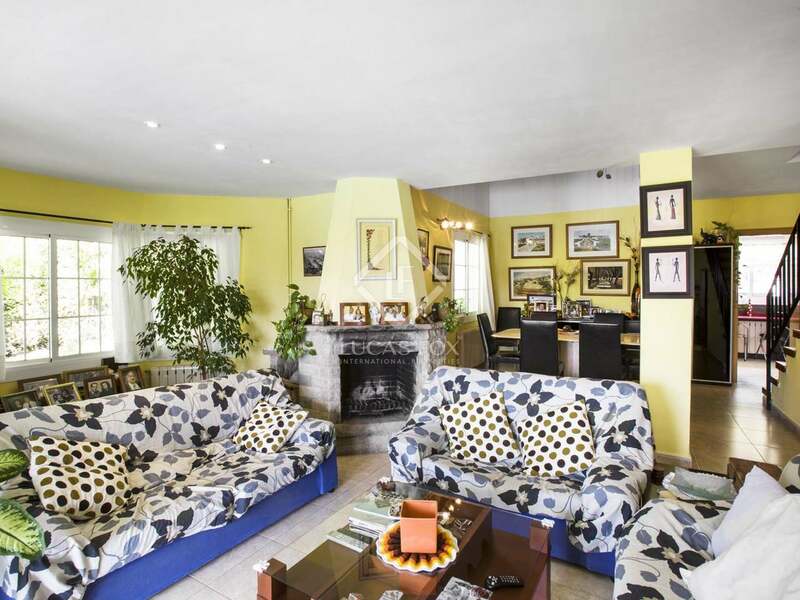 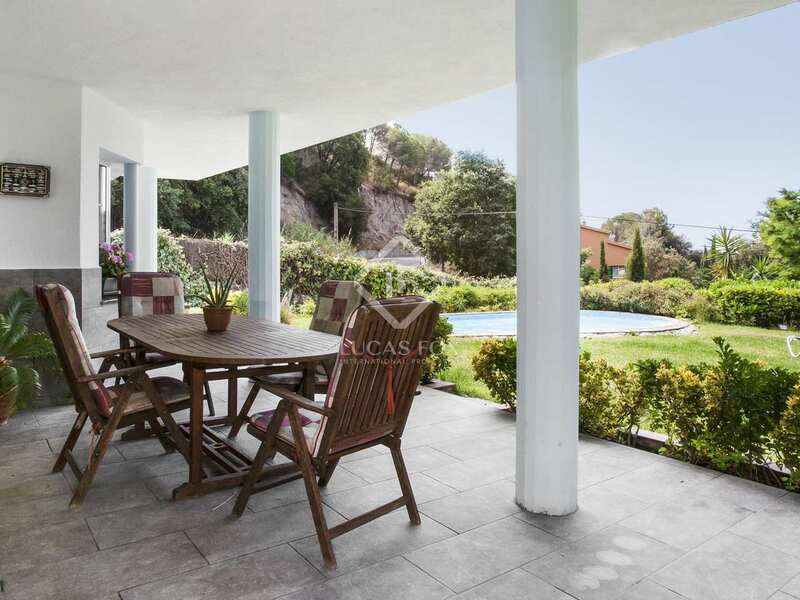 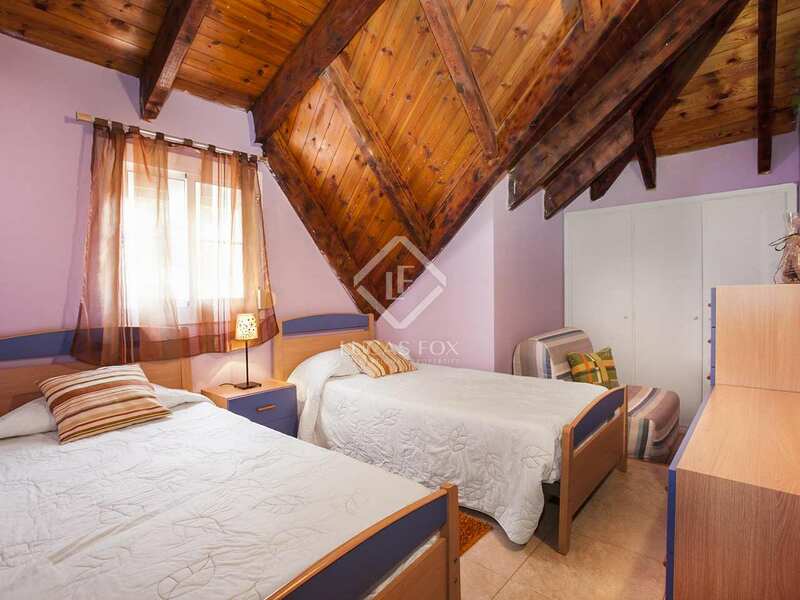 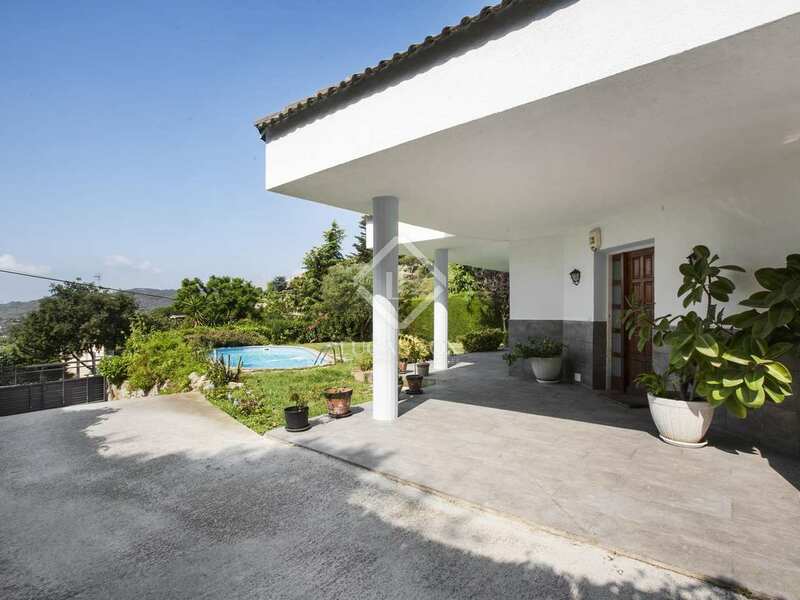 Property located in Cabrils, near the La Llobera tennis club. 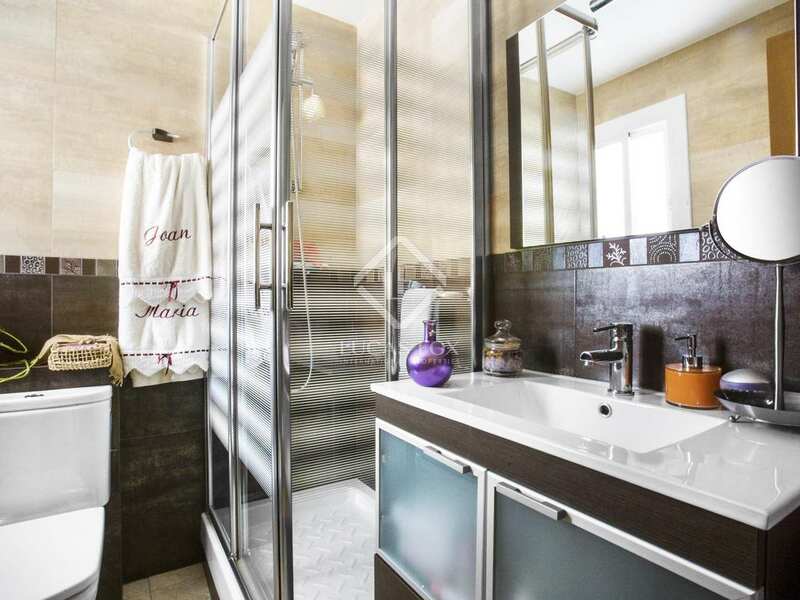 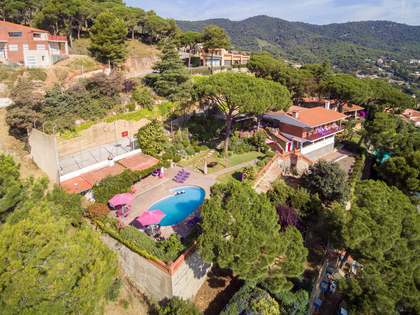 A 3-minute drive to the town centre and 10 minutes to the beach at Vilassar de Mar. 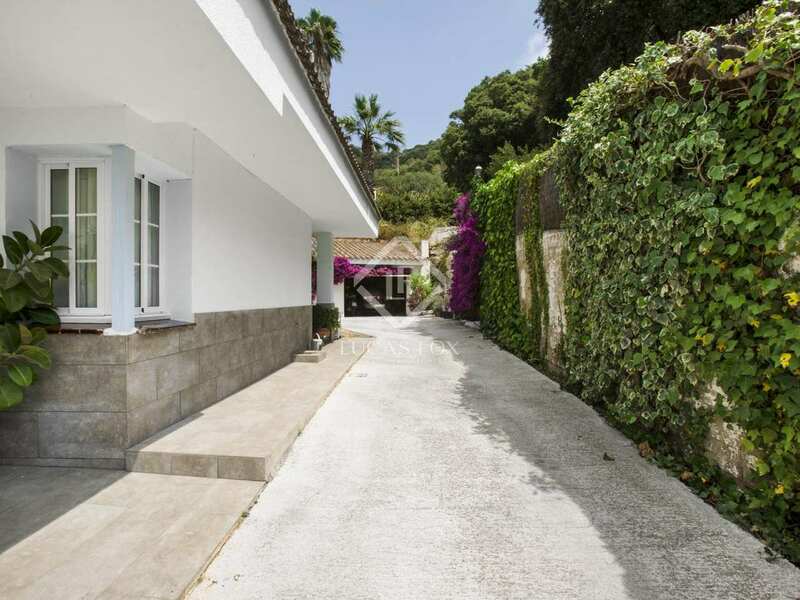 Close to the Serralada Litoral Natural Park with walking and biking trails.